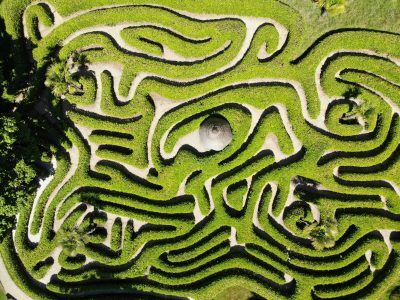 Mazes have always been a pillar of laboratory behavioral research that used mice and rats, with scientists running using these tools to test their spatial skills, memory, and learning. But those mazes have always had some limitations, causing them to go often ignored as a tool in recent years. MazeEngineers, a startup that designs and builds mazes for behavioral science research, is here to change that. MazeEngineers was founded in 2012 with the goal of radically transforming the economics, convenience, and scope of neurobehavioral testing in laboratory animals and human. Today, they are one of the most unique startups in the neurorobotics industry, and dedicate their efforts to helping preclinical sciences translate to bedside therapeutics by creating both new maze designs and improving on traditional ones for a broad spectrum of research applications. Expanding on and improving traditional mazes, MazeEngineers has combined them with more modern technology, making them more consistent and time-efficient. Automated elements available with their mazes include video tracking systems to monitor a rat’s every movement which spare researchers from hours of tedious observation while recording better data, as well as pneumatic doors that rise from below after the animals pass to prevent them backtracking. Committed to bringing behavioral research to the forefront of innovation through automation technologies, MazeEngineer’s customers include private and public universities, military, biotech companies, and pharmaceutical companies. If humans are more your speed than rodents (or bees, or bats, or one of any number of other animals they currently design mazes for), MazeEngineers offers VR mazes for your people-focused research. If you are doing behavioral research and need a more advanced maze and would like to automate some of the more tedious parts of the process to improve accuracy and reduce research fatigue, head over to MazeEngineer’s website to start checking out your options.